Died: 23rd May 1915; age 31; Died of Wounds – Wolverhampton Hospital, West Midlands. 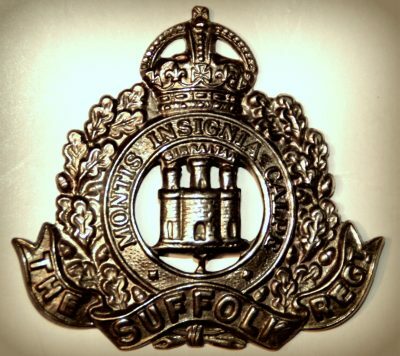 Regiment: Suffolk Regiment, ‘C’ Coy, 1st Battalion. Relatives Notified & Address: Son of George & Hannah Abbott, of Ipswich. 1891 7, Turin Street, Ipswich. George Abbott, 44, a Miller, born Whitton, Suffolk. Anna Abbott (nee Hubbard), 46, born Mickfield, Suffolk. Robert Charles Abbott, 22, a Factory Assistant Stock Keeper, born Ipswich. Laura Grace Abbott, 17, a Staymaker, born Ipswich. Maltwood Henry Abbott, 13, born Ipswich. Arthur Albert Abbott, 9, born Ipswich. Stanley George Abbott, 11 months, born Ipswich. 1901 38, Turin Street, Ipswich. Albert was 17 years old, an Iron Moulder. He was living with his parents & brother.George, 54, a Miller.